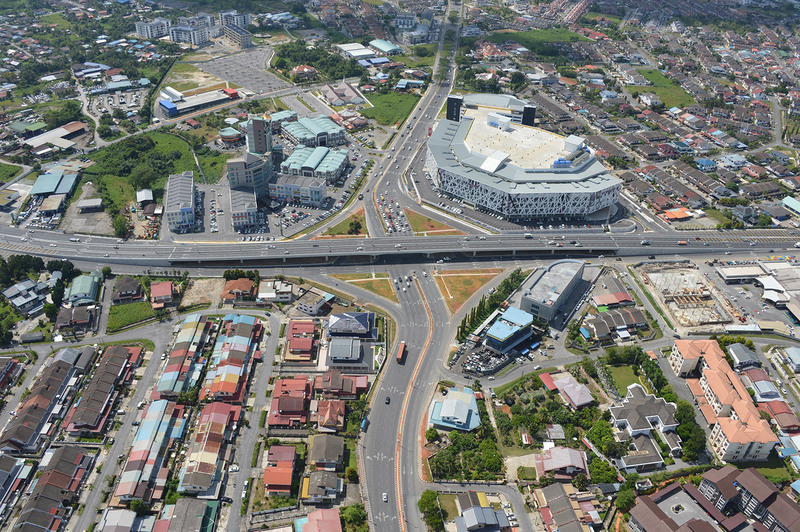 The dual-carriageway flyover bridge and road widening project commenced in March of 2011 and was successfully completed in March of 2013, ensuring smooth traffic flow for motorists travelling along Jalan Song, Jalan Tun Jugah and Jalan Laksamana Cheng Ho. 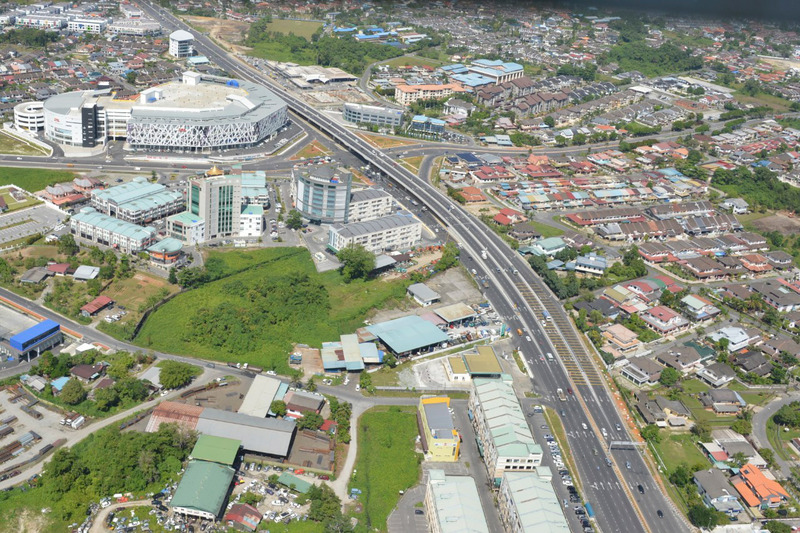 The RM44 million project that changed the face of central Kuching stands proud as an icon of the ever increasing modernisation and exponential development of the city. 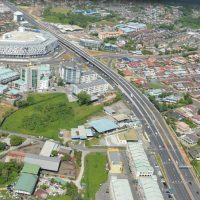 Motorists can now experience a smooth driving experience between Kuching International Airport and the city centre via the flyover. 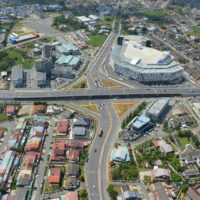 An aerial view of the flyover and the major roads it seamlessly links.